Gaelic 'tom dubh' - "little black hill"
Tamdhu is not currently open to the public. However, the new owners have plans for a visitor centre. 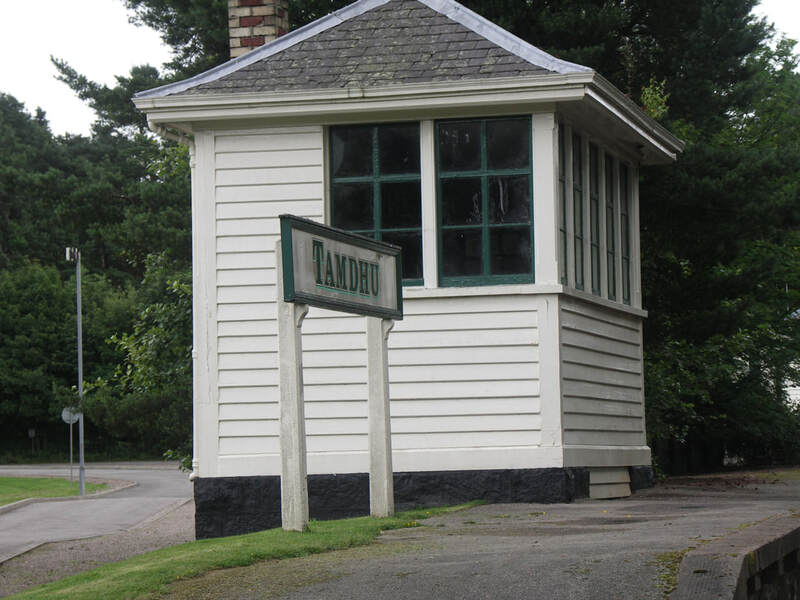 The buildings on the former Knockando station were previously used as a reception for the distillery's visitors. Whisky Cyclist visited the distillery during the 2012 Speyside festival. Built in 1897 by a number of investors brought together by William Grant (who was a director of Highland Distillers, so not the Glenfiddich one), who had already been involved in setting up Glenrothes. As with Speyburn, also built that year, they consulted Charles Doig - most famous for designing the pagoda roof, but at the time a pre-eminent distillery architect. Though too late for Alfred Barnard's 'Grand Tour' of distilleries, he was still taking an interest in distilleries and their design, and in 1898 described Tamdhu as "the most modern of distilleries" and "perhaps the best designed and most efficient distillery of its era". It was built next to the Strathspey Railway, who did not have a station there at the time - but this was soon to change - and with the building of the Knockando Distillery nearby as well, Dalbeallie Station was built in 1899 (it was re-named Knockando in 1905). The single track railway took the opportunity to make it a passing loop with two platforms and sidings. In addition Tamdhu Distillery was directly connected to the railway with its own sidings - as shown on this OS map. 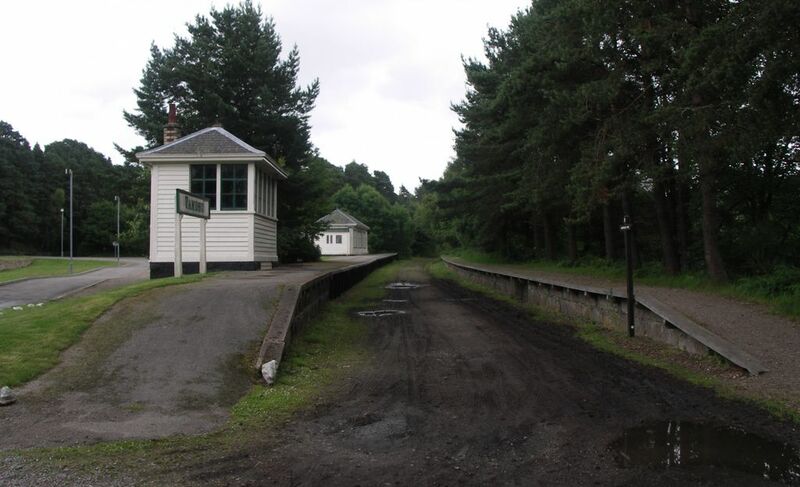 Though the railway is long gone the platform and station buildings are well preserved as they were once used by the distillery as a visitor centre. 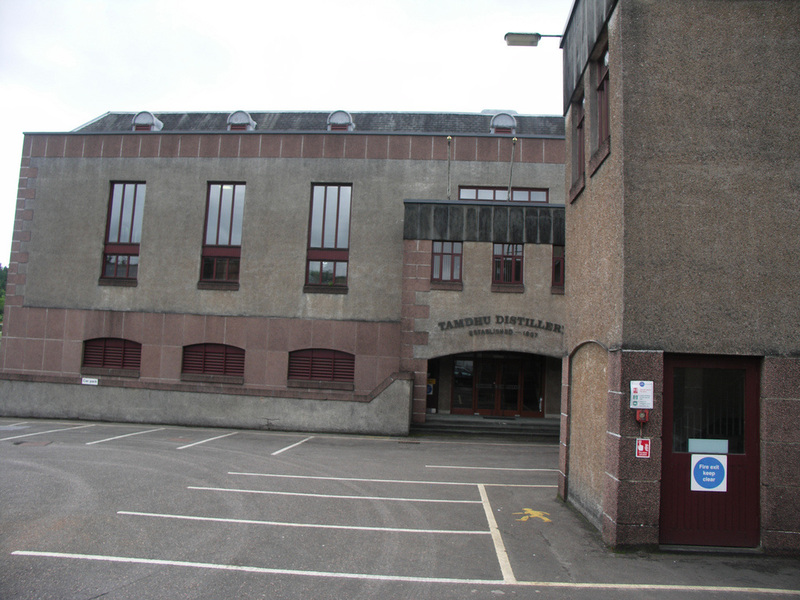 Highland Distillers bought the Distillery in 1899, and it remained in their ownership until 2011, when the Edrington Group sold it to Iain MacLeod. It had a chequered history, being mothballed between 1928 and 1948, and again between 2009 and 2012 when the new owners resumed production. Despite this it prospered at times with two additional stills being added in 1972 and another 2 in 1975. Under Edrington's ownership, an 8yo single malt was released in 1976 and 10yo, 18yo and 25yo were also available for a short time around 2005, but the main release around that time was a NAS. 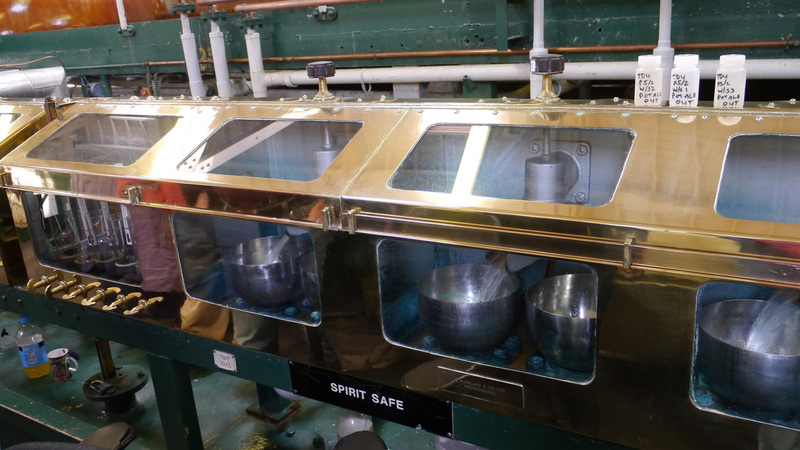 ​Tamdhu like a number of other Speyside distilleries used Saladin boxes for malting - from 1950 until mothballed in 2009, the last of these in use. 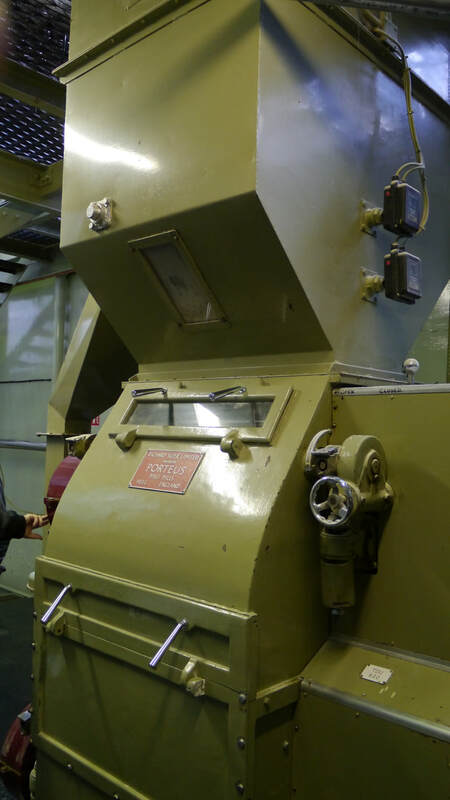 Not only were the maltings providing all the malt needed by Tamdhu, but also for Glenrothes and the non-peated malt for Highland Park as well. Nearest National Rail stations are Elgin (ELG) (19 miles), Forres (FOR) (17), Keith (KEH) (20). Live train times: ELG, FOR, KEH. Forres station plan has not been updated for the new station. At the end of a road off the A9102 between Upper Knockando and Archiestown near the mouth of the Knockando burn. It is also on the Speyside Way, on the banks of the Spey next to the remains of Knockando Station. Tamdhu is bottled as a 10yo (40%) - together with a limited edition 10yo (46%). There are also bottles released at Batch Strength, currently Batch 2 (58.5%). 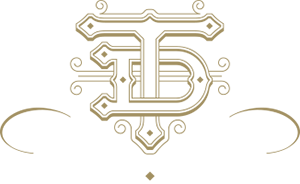 All Tamdhu own bottlings are now exclusively from sherry casks. Platforms of the former Knockando station. 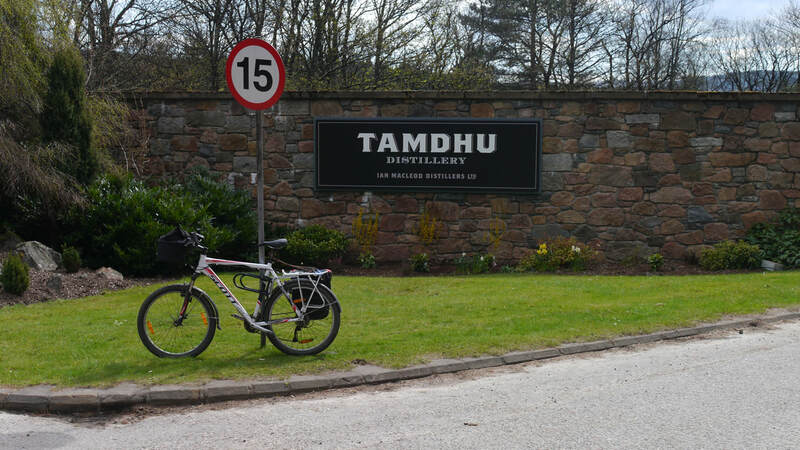 The name board showing Tamdhu reflects the later use as a visitor centre for the distillery. 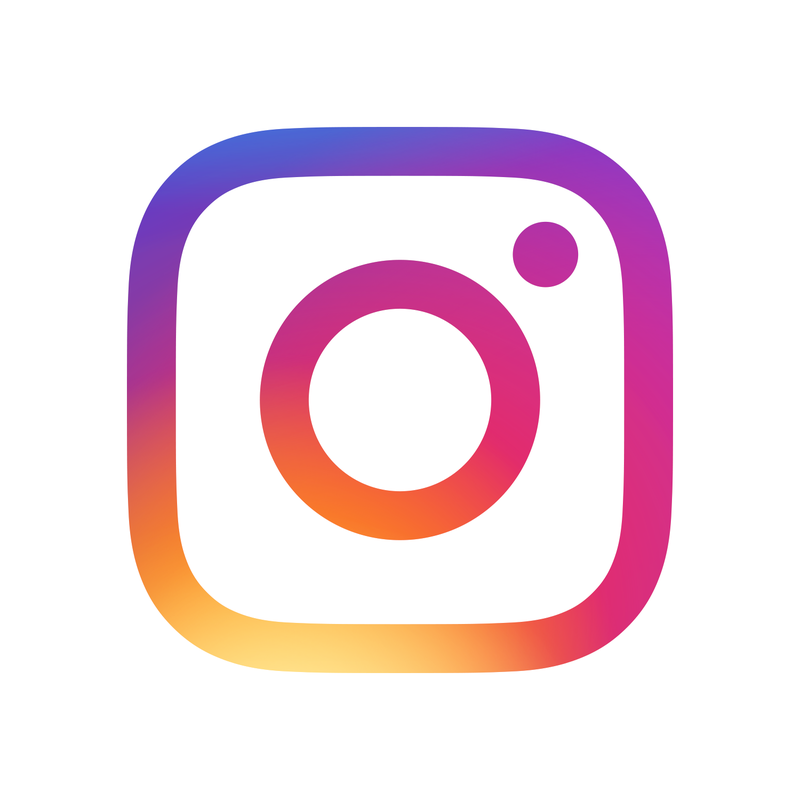 Photos on this page were taken by me. Click on photo to enlarge. Full size versions of all my photos of Tamdhu Distillery are available on Flickr.